It’s not really what you want to hear. 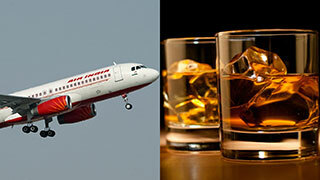 India's Directorate General of Civil Aviation (DGCA) is reportedly planning to ground hundreds of Air India flight crew members for evading random pre and post-flight alcohol tests. News outlet PTL reports dozens of flight crew have been regularly avoiding the tests when flying certain routes. It involves up to 132 pilots and 434 cabin crew members from the national airline, a source says. DGCA officials had already given Air India management an ultimatum to deal with the alleged violations and now the regulator says it plans to take action. "The DGCA already brought it to the notice of Air India management that its 132 pilots and 434 cabin crew have evaded the mandatory breath analyzer test, which is to be taken both before and after operating a flight. It is a safety violation and is taking a suitable action against these crew members," a source said as quoted by PTI. The regulator suspended the flying license of Air India's then executive director for operations, who himself knowingly skipped a mandatory test.